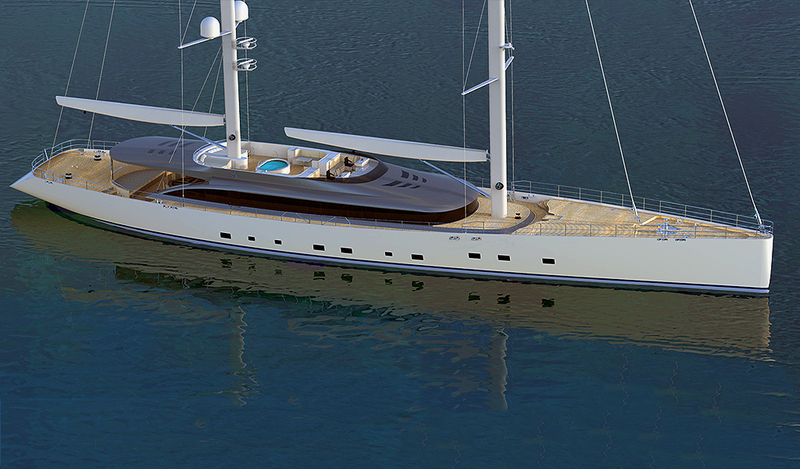 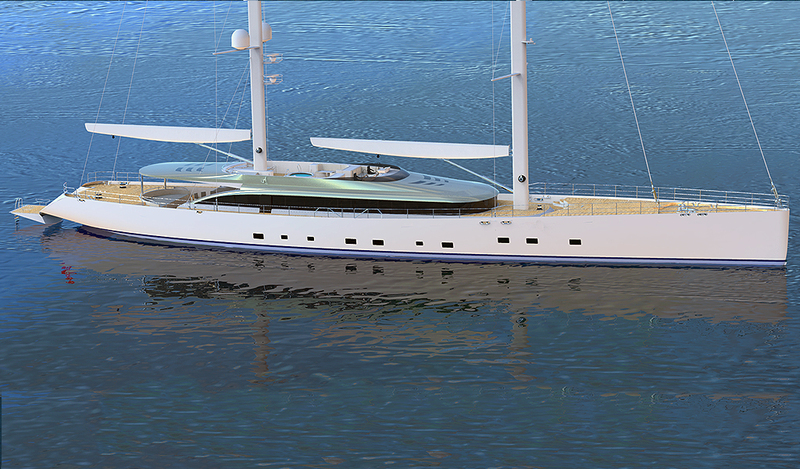 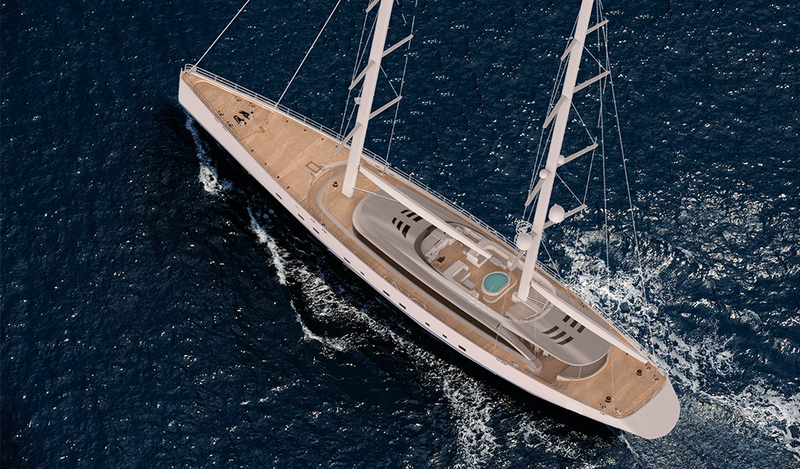 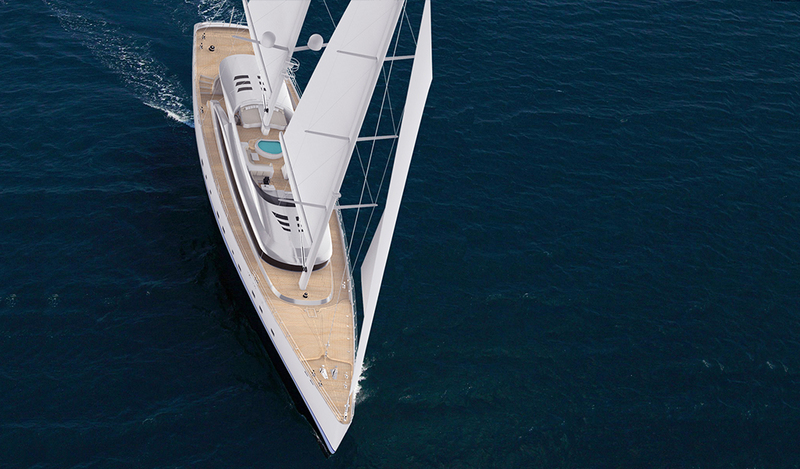 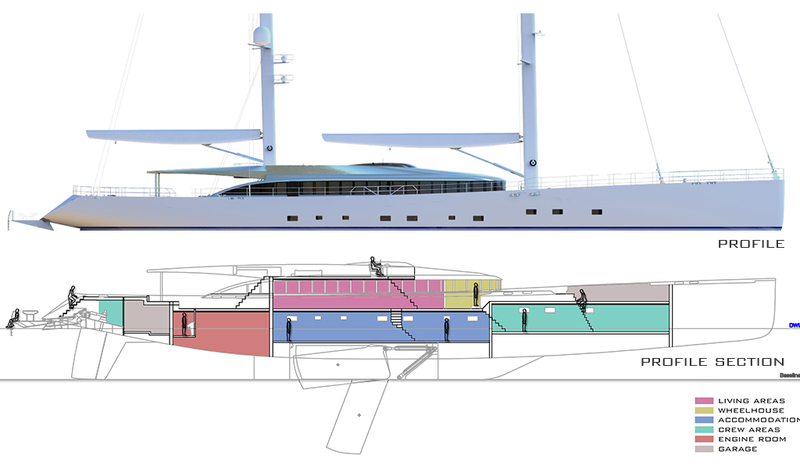 With her nearly vertical bow, this 57m superyacht is a stunning and unique modern sailing yacht concept. 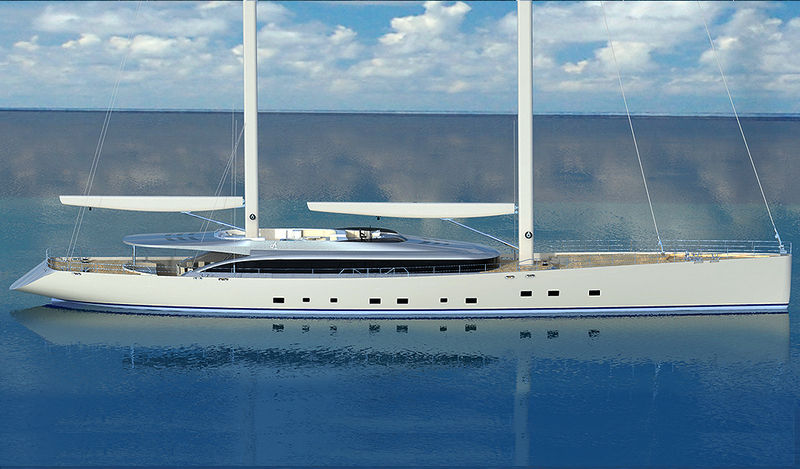 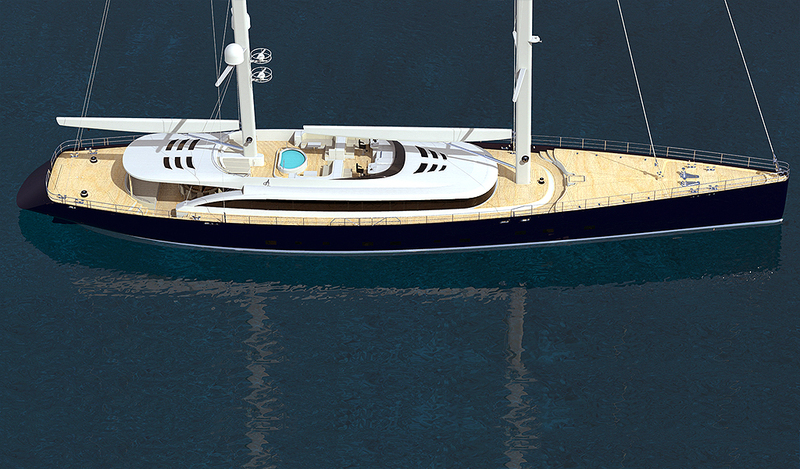 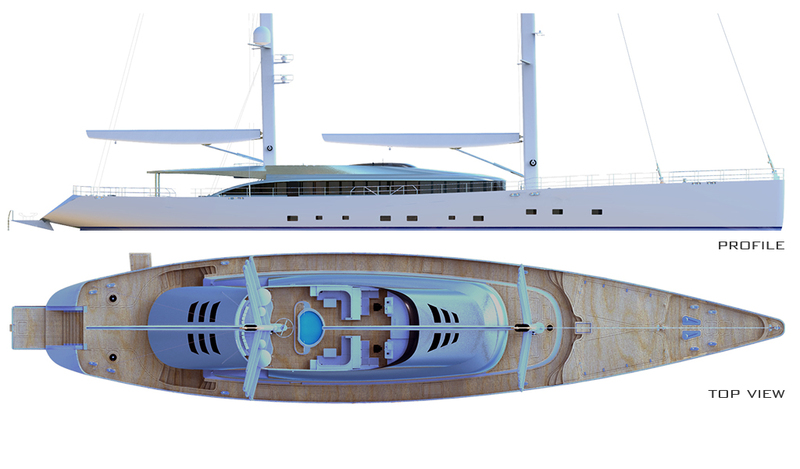 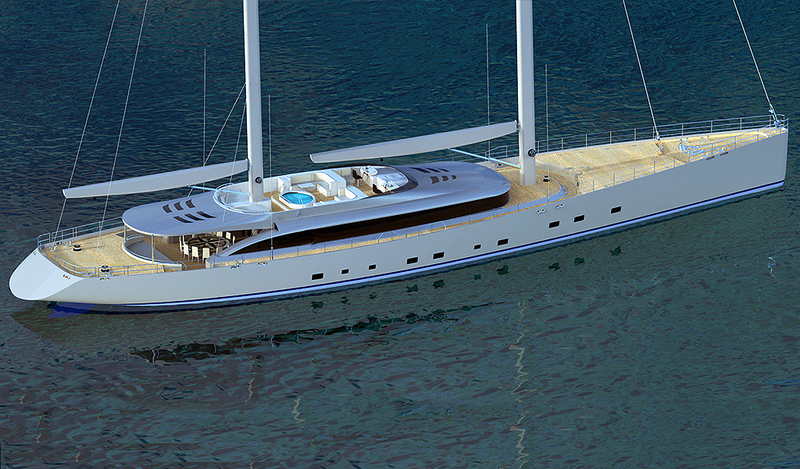 ARKYACHT's in-house design team gave this concept a contemporary look. 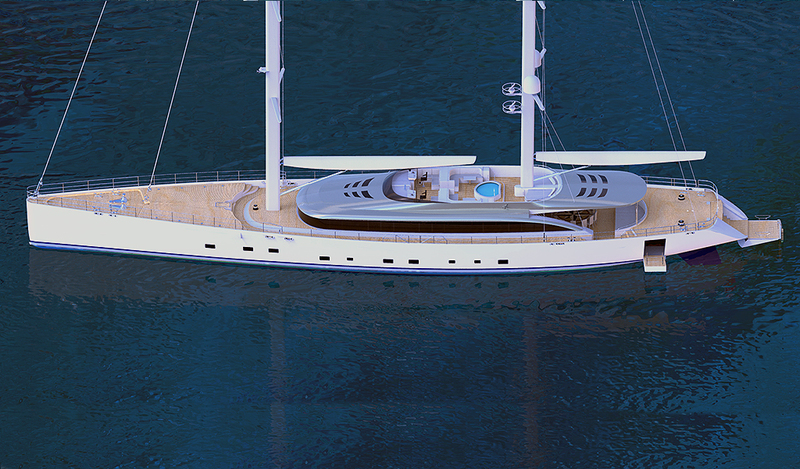 She provides wonderful exterior spaces for relaxation and al-fresco dining, with a large dining table on aft deck. 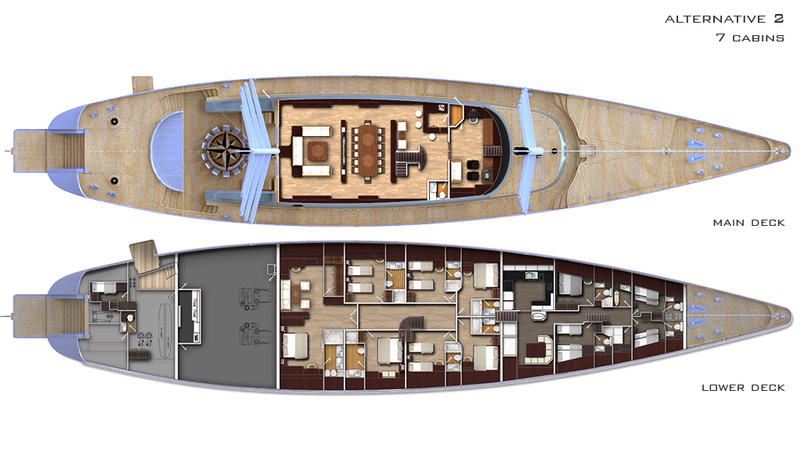 At the flybridge deck is a pool and large seats. 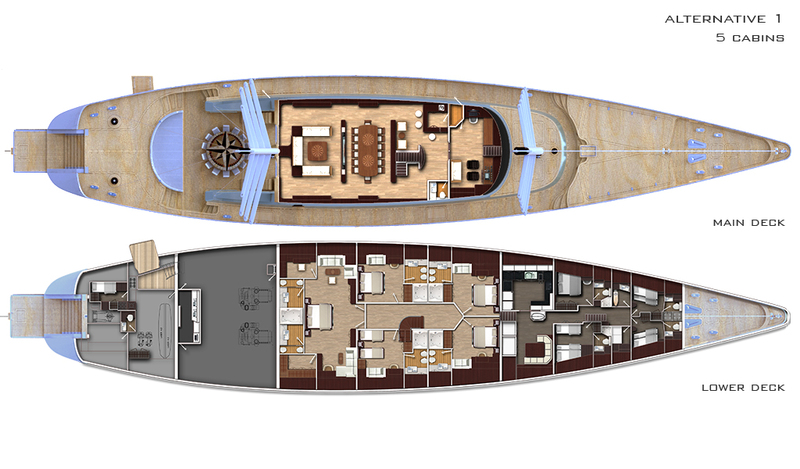 This yacht can comfortably accommodate up to 10 or 14 guests according to alternative layouts with 5 or 7 suites.